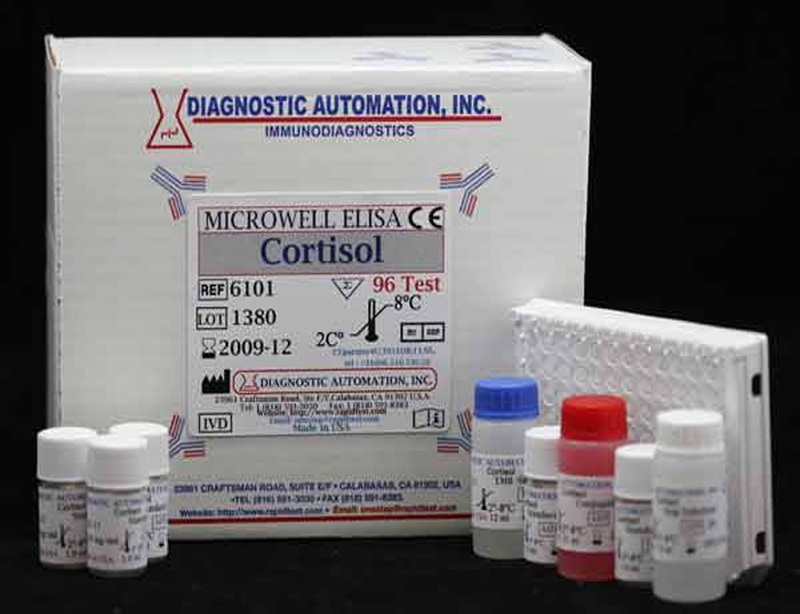 PAPP-A ELISA test kit | CE-GMP | 818-591 3030-USA. 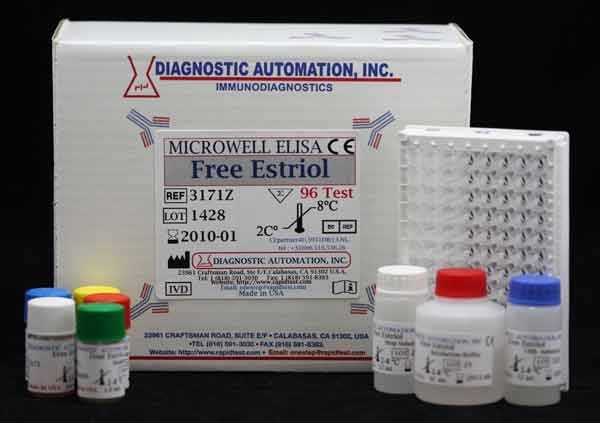 The Diagnostic Automation DHEA-S ELISA kit is competitive immunoenzymetic colorimetric assay for quantitative determination of DHEA-S concentration in human serum or plasma. Dehydroepiandrosterone sulfate (DHEA-S), is a natural steroid hormone. Measurement of serum DHEA-S is a useful marker of adrenal androgen synthesis. Abnormally low levels may occur in have been reported in hypoadrenalism, while elevated levels occur in several conditions, e.g. virilizing adrenal adenoma and carcinoma, 21-hydroxylase and 3 Beta -hydroxysteroid dehydrogenase deficiencies and in some cases of female hirsutism. Women with polycystic ovary syndrome tend to have normal or mildly elevated levels of DHEAS. As very little DHEA-s is produced by the gonads, measurement of DHEA-S levels may aid in the localization of androgen source in virilizing conditions. DHEA-S levels show no diurnal variation. 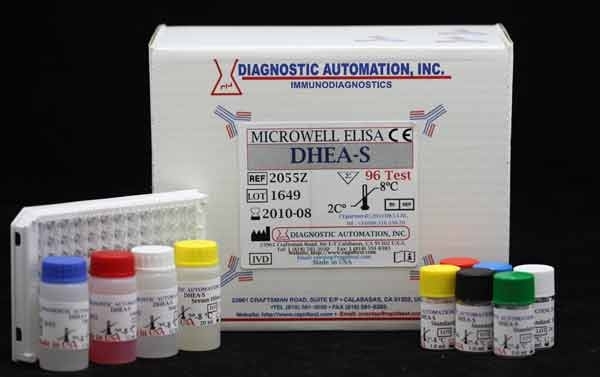 DHEA-S ELISA Test Kit is a competitive immunoenzymatic colorimetric assay. 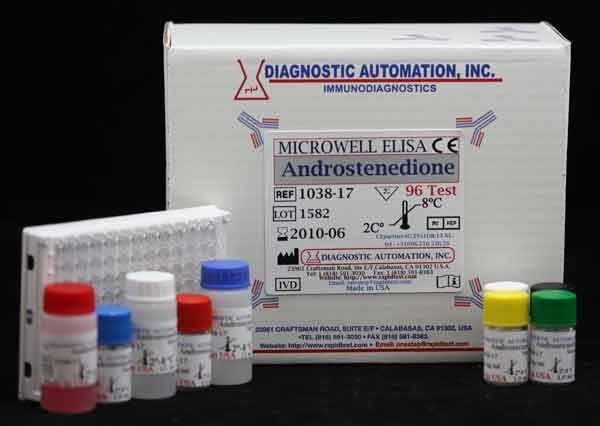 Dehydroepiandrosterone Sulphate (antigen) in the sample competes with HRP for binding onto the limited number of antidehydroepiandrosterone sulphate (antibody) sites on the microplates. After incubation, the bound/free separation is performed by a simple solid-phase washing. Then, the enzyme HRP in the bound-fraction reacts with the Substrate and develops a blue color that changes into yellow when the Stop Solution is added. For additional details please refer to the instructions for use. 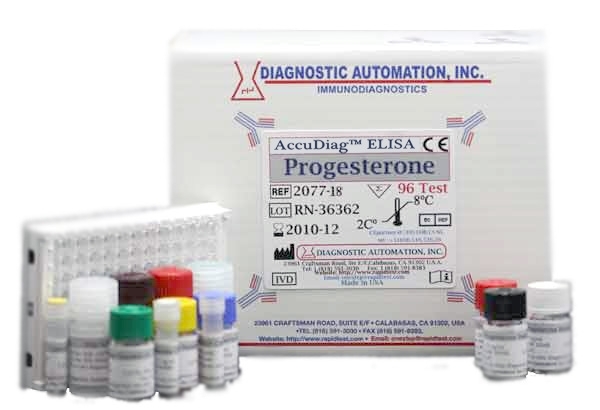 The clinical significance of the determination Dehydroepiandrosterone Sulphate by DHEA-S ELISA Test can be invalidated if the patient was treated with cortisone or natural or synthetic steroids. 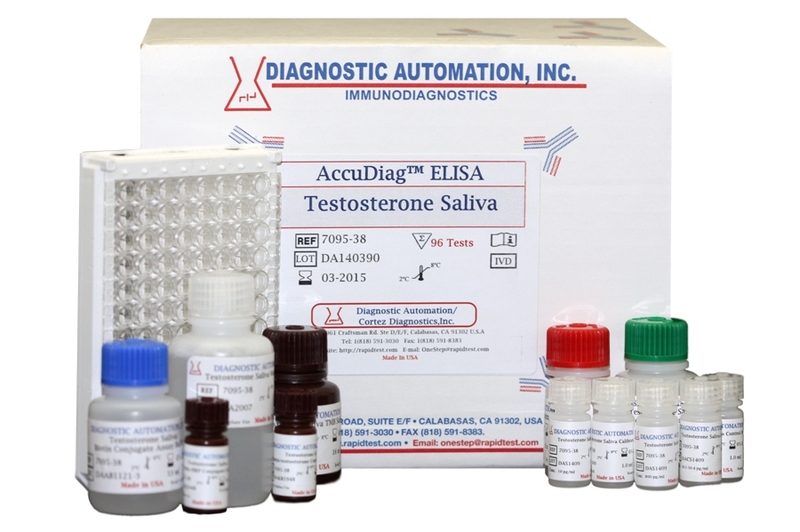 DHEA-S ELISA Test Kit is intended for laboratory use.